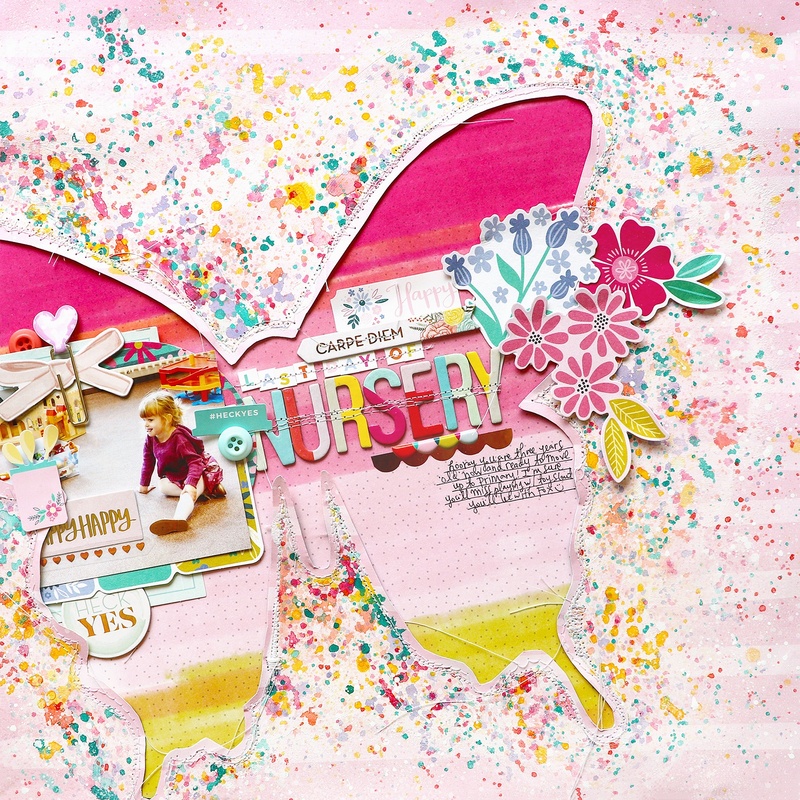 Here is the 3rd of 4 layouts from my Paige's Pages 12 class at Big Picture Classes! This was a really fun layout to make because I used more paint than I have ever before! After splattering one color I used a hair dryer to dry it so the colors wouldn't blend. So it took awhile to get all the layers down, but WOW is has such a fun effect and creates a dramatic look! It's a very "Paige" page with a large icon in the background and a little photo with lots of color, embellishments, and stitching! Wow wow wowwwwwwwwwwwwwww! This is gorgeous! LOVING that painted background and loveeeeeeeeee that big butterfly!!!!!!!!!!!!!!!! Turn the Page Collection & Giveaway!